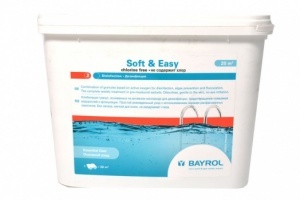 Research has shown that BAYROL is the best-known swimming pool brand for pool owners in Europe. It represents expertise, reliability and constant product quality. There array of products ranges from easy-to-use complete care products to special product solutions and offers everything a pool-owner needs for modern water care. Strong, unmistakable look, that clearly relates to swimming pools. The colours used make it even easier to differentiate between the various product groups. Practical products that can be safely transported, stored and dosed. Protected brand names with a high degree of popularity. Desalgin has been on the market for over 40 years and is the best-known swimming pool care agent amongst users.